Looking for a new signature scent? Maybe one that you can match to your partner? 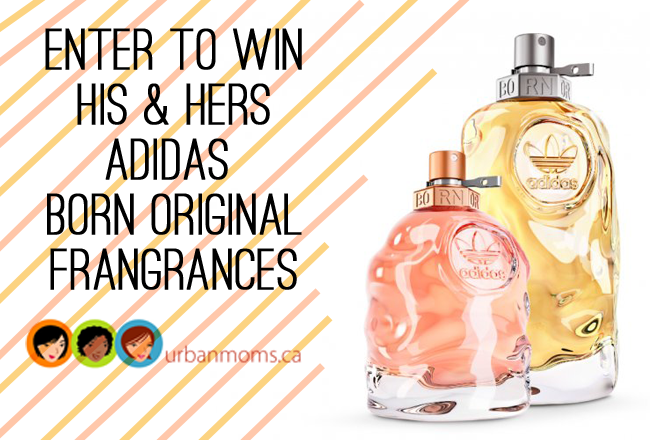 Look no further than the new Born Original fragrances from adidas. Born Original captures the energetic, empowering spirit of adidas Originals that’s rooted in individualism, authenticity and imagination. After endless mixing and re-mixing, the Born Original fragrances For Him and For Her were born. Beautifully unique, each is an explosive mix of contrasting notes. Contest closes November 4th. Please read the Rules and Regulations before entering. Adidas is what my husband used when we first met 12 years ago 🙂 It’ll always have a special place in my heart!! !